A new integrated residual gas analyser (RGA) is available for the Protochips Atmosphere in-situ system for TEM. 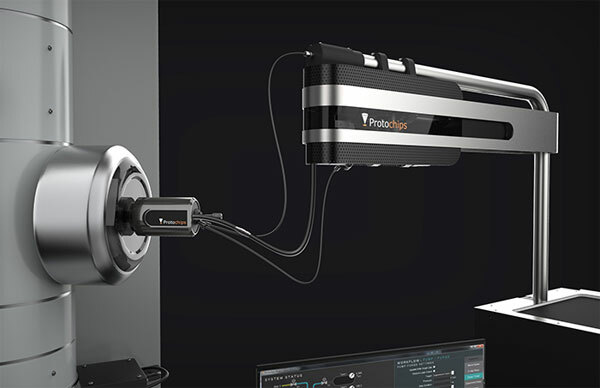 This gives you more possibilities for nanoscale experiments in gases, vapours and mixtures – ideal for recreating real-world environments and catalysis studies. Blue Scientific is the official distributor for Protochips in the UK and Nordic area (Norway, Sweden, Denmark, Finland, Iceland). For more information or quotes, please get in touch. The full system with gas handling manifold, integrated RGA, vapour introduction kit and EDS-optimized in-situ TEM. Protochips’ new integrated residual gas analyser (RGA) brings you closer than ever before to in operando experiments at the nanoscale. It works seamlessly with the Protochips Atmosphere in-situ gas system for TEM. The gas analyser connects directly to the gas outlet, so you can analyse in-situ chemical processes and measure reaction by-products throughout the experiment – particularly useful in catalysis research. Placing the detector close to the reaction gives you rapid responses and perfectly correlated data. 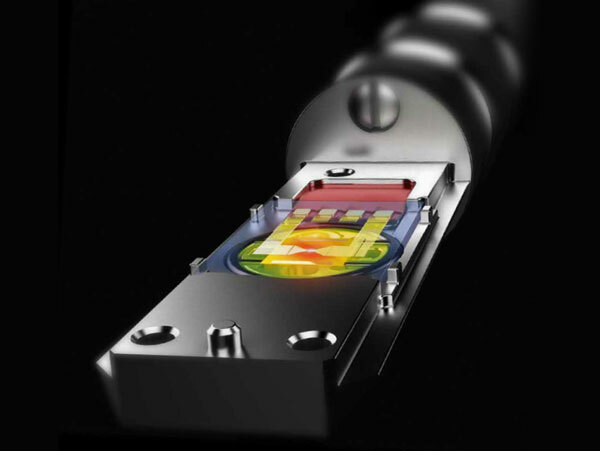 An integrated RGA delivers the highest image stability and fast gas detection during your experiments. The detector is close to the reaction for fast response times and accurate correlation of data from the TEM and RGA. By integrating the vacuum system with Atmosphere, there’s no need for traditional pumps that can cause vibrations and obscure your data. Cleanliness checks ensure safe exposure of the gas manifold to the RGA. These checks are software controlled and are performed before and in between experiments for optimum performance. Redox reduction of copper nanoparticles, observed over time at two magnifications. 50% Ar / 5% H2O / 45% H2 at 400°C. 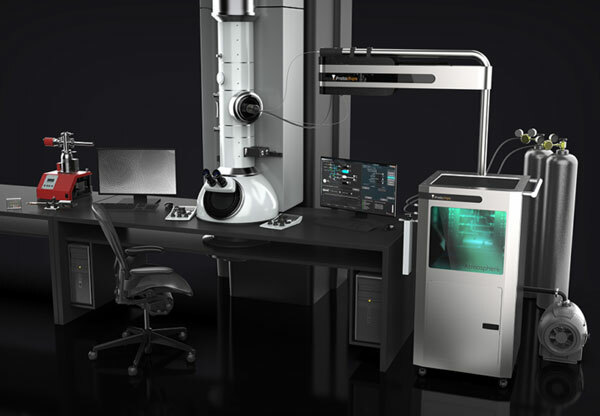 The new RGA integrates seamlessly with the Protochips Atmosphere in-situ environmental system, which transforms your microscope into a full-featured environmental TEM.